We offer a variety of camps from Instructional, Development, College Camps and Evaluation Camps. 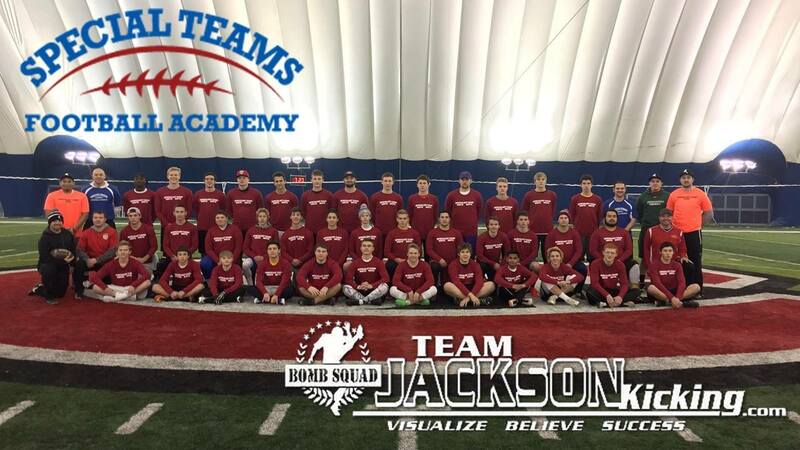 Our camps run year round and include Detailed Instruction, Appropriate Drills, Game Situation Scenarios, Competition and Charting, Awards and On-The-Spot Video Analysis. Our camps are great opportunities to fine tune your mechanics and learn drills to help you prepare upcoming season. Our evaluation camps are an excellent opportunity to showcase your abilities on a local and national level. Off-season Training (Kicking & Agility Session): Partnership with Game Face Training in Brooklyn Park- 6 week program (90 minutes). Runs November to April 2019. Weekly Sign Ups Available. Indoor K/P/LS technique work (45 min) + Explosive agility session (45 min). Mondays (6:00-7:30 PM) at the Brooklyn Park Facility or Wednesdays (6:00-7:30 PM) at new Edina Facility. The specialists loved this program so far!! Registration link here to sign up. Please contact us with any questions. June 16-18: 2 Day All Inclusive Camp (Kicking and Snapping) held at Bemidji State University. 30 spots available. All-inclusive camp includes lodging, food, training, film study, pool workouts and more. Specialists can expect to receive high level instruction/drill work recommendation from credible staff and will be challenged to grow and improve as athletes. Check in Sunday evening and Check out Tuesday Evening. For High School, College and Middle School Specialists. June 23: Georgia NKR Showcase (Kicking & Snapping Camp) in Atlanta, GA held at Alexander HS. Runs 1:30-5:00 PM. Camp includes specialist evaluation using the NKR Platform, Competitions, Awards, as well as a instructional clinic. Specialists can expect to receive high level instruction/drill work recommendation from credible staff as well as exposure for college recruiting purposes. For K/P/LS from High School/JUCO and Junior High levels. July 14-17: 4 Day Training Camp (Kicking and Snapping) held at St John’s University. High School & College Divisions (40 spots/ division). All inclusive camp includes lodging, food, training, film study, pool workouts and more. Specialists can expect to receive high level instruction/drill work recommendation from credible staff (flown in from around the US) and will be challenged to grow and improve as athletes. Check in Sunday evening and Check out Tuesday Evening. For High School, College and Middle School Specialists. July 27-28: National NKR Showcase (Kicking and Snapping) in Indianapolis. Location Park Tutor HS (IN). Day and a half invitational camp for select specialists based on NKR Camp performances. Camp includes specialist evaluation using the NKR Platform, Competitions, Awards, as well as a 90 minute instructional clinic to follow. Specialists can expect to receive high level instruction/drill work recommendation from credible staff as well as exposure for college recruiting purposes. Contact us for more information. Oct 20: Fall Minnesota NKR Showcase Camp – Athlete Evaluation, Competitions and Awards. For any questions about the camps, please contact us. I will be involved with more camps outside of the Minnesota area. Information on those camps will be in future newsletters. Please email CoachHusby@gmail.com to be included on future newsletters and updates.